This week's document for Amanuensis Monday is from the Barnstable County, Massachusetts probate documents for John Freeman (1626-1719) of Eastham, Massachusetts. Rights or Credits In the County of Barnstable Within the Province aforesd. 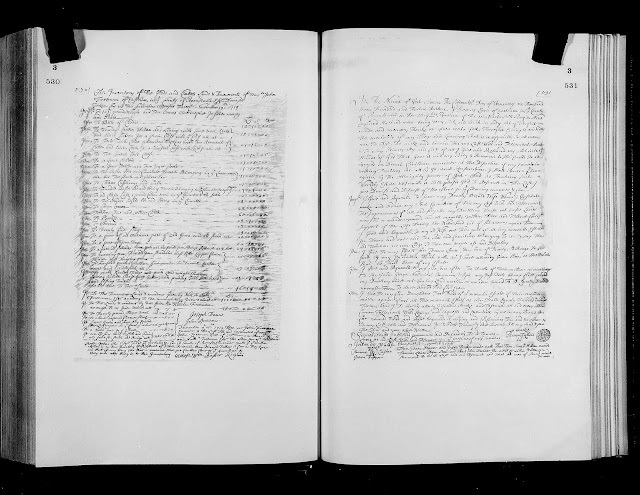 "Massachusetts, Wills and Probate Records, 1635-1991," indexed database with digital images, Ancestry.com (http://www.ancestry.com : accessed 12 December 2016), Barnstable County, "Probate and Guardianship Records, Vol 1-2, 1674-1742; Vol 3, 1743-1747," Volume 3, pages 527-530 (images 766-768 of 828), John Freeman probate papers, 1719. See Part I of this series for more details about the family of Major John Freeman of Eastham, Barnstable County, Massachusetts, who died 28 October 1719. 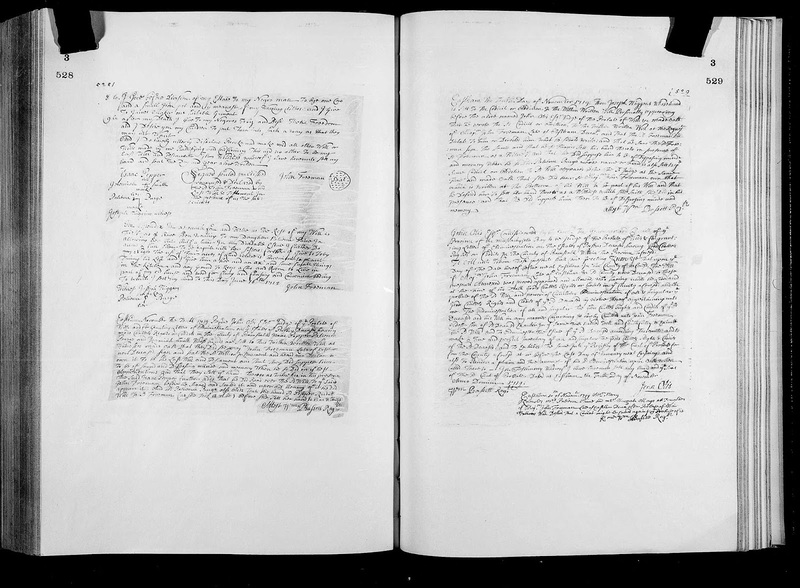 This estate proceeding moved right along; John Freeman died 28 October 1719, the will was proved on 10 November 1719, the Inventory was taken 19 November 1719, and was approved on 15 December 1719. The Inventory total is not provided in the documents. My estimate is that the Inventory totaled £1,150 in real estate and over £363 in personal estate.